We were super excited when Kate Spade New York corporate offices asked us to come up with something fun to give their attendees after a out-of-town retreat. There theme was black, white and gold. 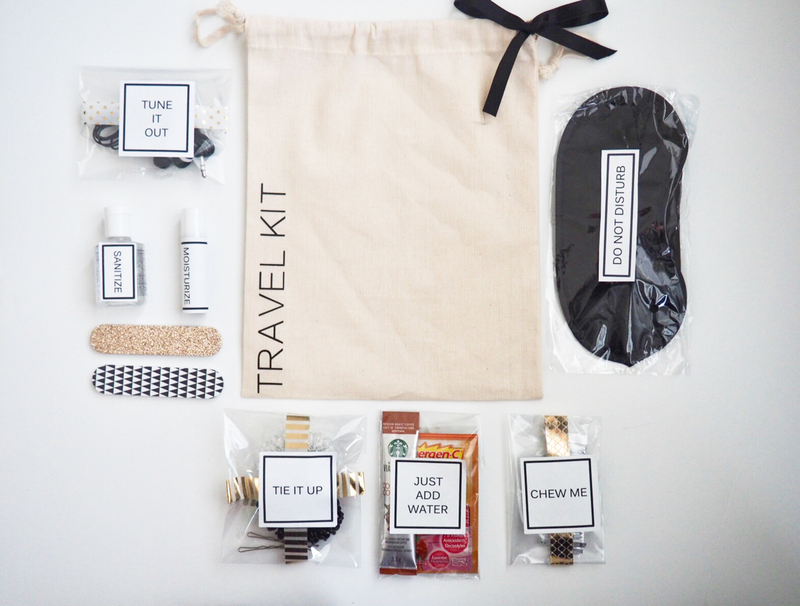 We created these custom Travel Kits and included all of the necessary travel essentials. 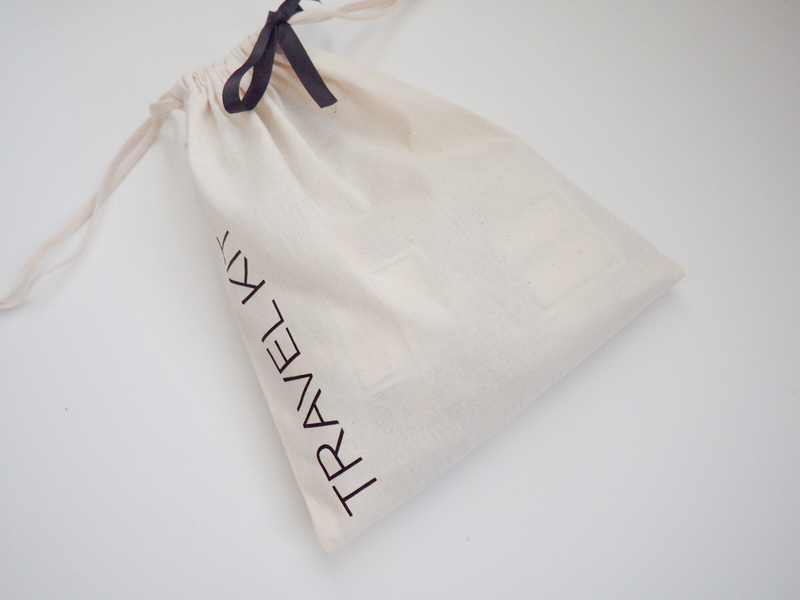 We custom designed, labeled and packaged each of the items to fit the theme and designed a minimalist drawstring travel kit pouch and cinched with a simple black ribbon. This entry was posted on Tuesday, March 6th, 2018 at 2:06 pm and is filed under Gift Ideas. You can follow any responses to this entry through the RSS 2.0 feed. You can leave a response, or trackback from your own site. I really like the gift ideas you have listed here. I personally prefer gift cards more since they give you the freedom of choice. I find that gift cards are similar to cash in a way but they are more meaningful especially when you choose the right card for the occasion and customize it with your own image.